I like King Edward IV. I think most people do. He held onto his throne in no small part because he was an intensely likeable man. Men wanted to be him and women wanted to be with him. In many ways, he was a successful king. Edward was keen on trade, particularly with Burgundy, later with the Hanseatic League and France, and patronised Caxton’s printing press as soon as it arrived in England. His military record was the envy of the time, having never been defeated on the field of battle. However, some of Edward’s political decisions seem a little short sighted and this lack of forethought was to store up a whole bag of snakes that were unleashed on his untimely death. During his lifetime, Edward’s affability seems to have kept the drawstring tightly shut, but on his death, no man seems to have been able to prevent them from spilling forth to poison all of his good work. Whilst examining some of the political decisions that were to create problems later, it is worth bearing in mind whether they perhaps occurred from a lack of forethought, the absence of the will to deal more fully with certain matters or from a genuine believe that the underlying issues were solved by his solutions. Edward lacked the benefit of hindsight and was never to see what happened in the summer of 1483. King since 1461, in 1464 Edward famously married Elizabeth Woodville, a Lancastrian widow with two sons, in secret whilst the Earl of Warwick was negotiating a French marriage. Whether Edward fell genuinely in love with Elizabeth or was tricked somehow into validating the union is of little consequence. The fact remains that he not only sacrificed any potential gain or alliance his marriage could have brought (unromantic, I know, but a genuine consideration for a king at this time), but he also deeply embarrassed his most powerful subject. A rift slowly opened that Edward did nothing to heal until Warwick eventually rebelled in 1469. Even if Edward could not have been expected to foresee this trouble, he surely had a long time to deal with the mounting tension, yet chose not to. The Parliament of 1472 was a long, protracted affair. Writs were issued summoning members to attend on 6th October 1472 and the Parliament sat for forty four weeks in total over a period of two and half years. This record session was not to be broken until the Reformation Parliament. Edward had lost his grasp on the crown for six months between October 1470 and April 1471 and there were a lot of loose ends that needed to be addressed. When Warwick had been killed at Barnet in 1471, he had been in control of the huge Neville patrimony. His widow, Anne, had also brought her husband the vast Beauchamp and Despenser inheritances. Here began Edward’s problems, and his scruffy solutions. His two brothers, George, Duke of Clarence and Richard, Duke of Gloucester had been at odds over the inheritance of their wives, the Neville sisters, since Edward had regained power. Most of the vast tracts of Neville land in the north had already been vested in Gloucester and it is clear the Edward intended it to stay there. Throughout the bitter dispute between the king’s brothers over the inheritance the one thing upon which they both agreed was their desire to hold the lands in right of their wives rather than by royal grant. The advantage of this to George and Richard was clear. If they held their new lands and titles by right of inheritance the king could not legally take them away. If they were held by royal grant, breaking the line of inheritance, they were held at the king’s leisure and could be removed in a fickle moment, as we will see later. Their foresight is perhaps in contrast to their brother’s lack thereof. It is telling that both brothers, however vehemently they argued, could agree that they did not wish to hold power at their brother’s leisure, clearly staking a claim for some sort of independence. This thin slither of agreement was seized upon by Edward, but presented its own problems. If Edward were to grasp this wisp of accord between his brothers, he could not attaint Warwick, since his lands and titles would be forfeit if he did. If Warwick was to escape this posthumous punishment, so too must his followers, meaning that none could be attainted for their part in the rebellion, including Warwick’s brother John Neville, Marquis of Montagu, who had also perished at Barnet. John was, himself, a tutorial from which Edward should perhaps have learned. The Percy Earl of Northumberland had been attainted after his death at Towton in 1461 and in an effort to bolster Yorkist support the earldom and lands had been granted to John Neville in 1464. The rivalry between the Nevilles and the Percys was deeply ingrained and frequently violent, so the Nevilles must have been delighted to have obtained the upper hand under Yorkist rule. Henry Percy, now head of the family, quietly pleaded his case to Edward and in 1470, the king decided to rehabilitate this family, who still held great sway in the far north. He chose to do so by depriving John Neville of his earldom and returning it to the Percy clan. John was compensated by being created Marquis of Montagu, theoretically a superior title to an earldom, but in reality it came with insufficient lands and income to support him. It was undoubtedly this affront before an old rival and the inconvenience brought by finding himself suddenly underprivileged that led John to support his brother’s rebellion in 1470 and drive out King Edward. Now, Edward decided to acquiesce to his brothers’ demands, but it was still not so simple. The Neville inheritance was tied to the male line of the family, so the rightful heir was not, in fact, Isabel or Anne Neville, the Duchesses of Clarence and Gloucester respectively, but their cousin George Neville, son of the aforementioned John. This presented another problem in which Edward entangled himself awkwardly. Edward effectively granted his brothers’ wish to inherit on behalf of their wives, but specified that should the male line of the body of John Neville, late Marquis of Montagu, become extinct, the titles would revert to a life interest only. This provision seems to be Edward sneaking in a curtailment of his brothers’ titles to counteract their insistence on inheriting rather than receiving a grant, but it made their power base fragile and placed their fortunes upon a whim of fate. Edward may have thought that he was being clever, but this single sentence was to have a devastating effect in 1483. A few years after this settlement, Edward felt in control enough at home to turn his attentions abroad. Much of 1474 was spent planning the invasion of France, to press Edward’s claim to that throne in a renewal of the long dormant Hundred Years War. In 1475 a force reputed to be the largest ever to leave the English shore departed for Calais. On arrival, Edward’s powerful but enigmatic ally Charles the Bold, Duke of Burgundy failed to meet the English king having inexplicably decided to march his army in the opposite direction to press some more trifling claim. Edward was left high and dry. In spite of the size of his force he had been relying on Duke Charles’s army to ensure that a prolonged campaign on foreign soil was more feasible. Without him, Edward was in something of a bind. Ever sharp to an opportunity, the Spider King, Louis XI, seized the chance to make Edward an offer the French King knew his English counterpart would struggle to turn down. The terms of the Treaty of Picquigny, signed on 29th August 1475, gave Edward 75,000 gold crowns immediately to withdraw from France along with an annual pension of 50,000 gold crowns. Margaret of Anjou, widow of King Henry VI, was ransomed back to France for a further 50,000 gold crowns and an agreement was reached to marry the French heir, the Dauphin, to Edward’s oldest daughter Elizabeth of York. This expensive peace was viewed as somewhat dishonourable in some quarters in France, but the ten year truce that accompanied the Treaty allowed trade to flourish again between the two nations. The view in France was of little concern to the now considerably wealthier Edward. The merchant middle class enjoyed the increased trade too. However, many in England also saw only dishonour in the capitulation of the English army. Most prominent amongst them was the king’s brother Richard, Duke of Gloucester. Richard refused to attend the negotiations and was not present at the signing of the Treaty in protest at what he saw as a dishonourable surrender. Richard argued, possibly with some validity, that the king had a force strong enough to win at least one battle against the French while they still mustered their full strength. Then, Richard protested, the king could negotiate the same peace, if he so desired, from a position of greater strength and return home having won the field on French soil and forced them to negotiate possibly an even better settlement. Richard was in the minority on the council, each of whom were to receive a hefty pension from France too. Richard refused his, though he was later to meet with Louis XI and accept gifts from him. The lack of forethought that I see within this episode relates to Edward’s reputation from that point onwards. In his entire life, Edward had never been defeated on the field of battle. This was an enviable reputation during the Wars of the Roses and may well have kept some potential threats to his rule at bay. On each occasion that Edward had taken the field it had been through necessity, to press his claim to the throne or to defend his crown. Now, presented with the option of stepping back from a confrontation, he backed down. He claimed the French pension was a tribute and a victory, but it exposed for all to see the weakness that Louis XI had perceived. This legendary and feared battle leader, the 6′ 4″, athletic mountain of a man was lost. Edward had the chance to reinforce and magnify this reputation in France but passed it up for money. Of course, he might have lost any battle and risked both his reputation and the money! From that point on though, few could have eyed England and Edward as a real threat. As long as the king wasn’t backed into a corner, he wouldn’t fight. This persisted into the 1480’s when he dallied in leading a campaign against Scottish aggression until he was forced to put the operation into the hands of Richard, who executed it swiftly and effectively. Okay, this doesn’t appear to have cost Edward in the long term, but he had sacrificed a good deal all the same. He had set out to conquer France and been paid off. In 1478, Edward reversed his previous decision in regard of George Neville, son of John Neville, late Marquis of Montagu. George had been created Duke of Bedford by the king in compensation for the loss of his inheritance, as the Parliament Rolls of January 1478 state, “for the great zeal and love he [Edward] bore to John Neville“. Edward had also intended, for reasons of the same “great love his said highness bore to the said John Neville“, to “have given the said George adequate livelihood to support the same dignity“. For unspecified reasons, George had never received his “adequate livelihood” and this we are assured, “often causes resort to great extortion, corruption and maintenance, to the great trouble of all the areas where such a figure happens to live“. So, outrageously painted as being in the best interests of both the duke himself and all who lived near him, “all the dignities given to the said George or to the said John Neville, his father, shall henceforth be void and of no effect“, so that “George and his heirs shall not be dukes or marquesses, earls or barons“. Once more, this episode appears to be of little importance, but it surely reinforced the view that Edward was not a man of his word when it suited him. The Neville family had been politically neutralised. George held a great title, but no power or income to maintain himself there. He had no power base, since the bulk of the Neville affinity now looked to Richard, Duke of Gloucester as its head. Edward had gone to France to conquer a bitter rival and been paid off to leave. He had compensated George Neville for a travesty of inheritance law tinkering, never delivered any compensation except in name, and then removed it when it suited him to do so. He was king, so he could do such things if he wished, but that does not make it well advised. 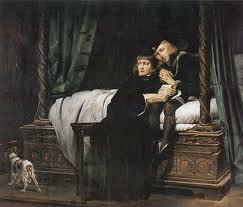 The culmination of much of this trouble came in April 1483 when Edward died, aged 40. Supposedly, Edward made a deathbed plea to his Woodville relatives by marriage and his closest, probably his best friend in every sense, William, Lord Hastings to cease their feuding for the benefit of his son. That Edward knew of this bitter rivalry and had failed to bring the opposing sides to heel speaks too of a lack of foresight. The bag of snakes that he had held tightly shut fell opened as his life slipped through his fingers. Perhaps finally seeing the trouble that lay ahead, Edward altered his will to name his brother Richard as Protector of the Realm. Richard had been unswervingly loyal to Edward for his entire life, ruling the north for the king for over a decade with great success. Yet even this appointment, of an apparently worthy man, lacked real merit. Richard had been in the north for years. He lived there, ruled there and stayed there. He visited London only infrequently and so was not familiar with the court in the way that many in London at the time were. Edward had placed his eldest son and heir in the care of the Woodvilles at Ludlow, his household there lead by his uncle Anthony Woodville, Earl Rivers. The sudden change of guardianship, the instantaneous shifting of the custody of both the king and political power in the realm was seismic. The Woodvilles lost their only link to authority. They were unpopular and lacked a real power base in their own right. Hastings similarly had held the ear of the king for two decades and was about to be forced to see another man wield that influence over the young king. If Edward foresaw trouble, he only made it worse by his solution. He turned two sides into three, his intractable younger brother probably never likely to beg peace from either the Woodvilles or the man reputed to be Edward’s erstwhile partner in vice Lord Hastings. He left his brother with a job he himself had been incapable of resolving. Edward might have been better served to have picked one side and given them all of the power at the expense of the other. Having nailed his colours, and his son’s future, to the Woodville mast for years, perhaps he would have resolved the matter better by reinforcing that and leaving Hastings to chose either to like it or lump it. Another of Edward’s decisions was to pour fuel onto the kindling political fires breaking out in London. On 4th May 1483, less than a month after King Edward IV passed away, George Neville died, bereft of title, lands and now life aged just 22. He left no children, let alone a male heir to continue the line of John Neville. Richard’s interests in vast swathes of his lands instantly reverted to a life interest only, significantly weakening his position and denying his son most of his inheritance. Perhaps Edward had intended to resolve this obviously unsatisfactory settlement, just as he had intended to properly endow George, but he did neither. Had George lived and been properly invested, perhaps he would have been loyal to Edward and his son and retained enough control over the Neville affinity to prevent Richard seizing such complete authority, and eventually the crown itself, in the summer of 1483. As it was, Richard became devastatingly weakened at a time when he was going to need all of his strength if he was to do the job his brother had intended for him of curbing the squabbling Woodvilles and Lord Hastings. Perhaps this contributed to Richard’s decision to execute both Rivers and Hastings. Maybe the lack of a prospect of correcting the title for as long as the new king remained under Woodville influence drove Richard to seek a new solution. As I said at the outset, I like King Edward IV. I still do, but I think perhaps I like him in the way I like Del Boy in Only Fools and Horses. He’s loveable, but a bit of a rogue; likeable, but always on the make; he could sell ice to the Eskimos, but you trust his word at your peril. And it’s always next year that he’ll be a millionaire. There’s always next year to worry about tackling that. Except that one year, there wasn’t. 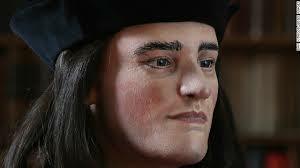 Happy Birthday King Richard III! The 2nd October 2013 marks the 561st anniversary of the birth of one of England’s most controversial monarchs, King Richard III. On the throne for just 2 years, he has spent more than half a millennium dividing opinion and is still doing just that today, perhaps more than ever. With a judicial review of the decision to reinter his remains at Leicester Cathedral due to take place on 26th November, I wonder what King Richard might make of all of the controversy surrounding him on his birthday. I think he’d quite like it. Richard, as Duke of Gloucester and as king, was no stranger to controversy and can often be found courting it. The first glimpse of this can be seen in his dealing with the feud between the Stanley and Harrington families. I have written a separate blog about this dispute entitled ‘Hornby Castle – The Price of Power’ so I won’t go into great detail here. Suffice it to say that Richard took a side and made it very clear that he was doing so. 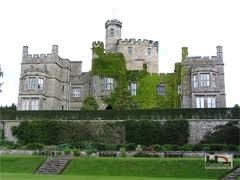 When Lord Stanley sought to blast the Harringtons out of Hornby Castle with his immense canon Mile Ende, the 17 year old Richard can be found issuing a warrant on 26th March 1470 signed ‘at Hornby’. He had clearly placed himself in the way of Stanley’s ambitions to defend a family I think he viewed as far more loyal and more deserving of his brother the king’s rewards. When the Earl of Warwick rebelled, Edward IV was forced into exile in Burgundy. He boarded a ship at Lynn on the Norfolk coast for an uncertain future. With him, amongst others, was his youngest brother Richard. The date that they took ship is recorded as 2nd October 1470. Richard’s 18th birthday. I don’t think that he would have hesitated a moment to sail with his brother though it seems likely his mentor Warwick and the brother to whom he was probably much closer, George, were on the other side and staying may have seemed an easy option at the time. When Edward IV invaded France in 1475 there was no fighting. Edward signed Louis XI’s Treaty of Picquigny which effectively bought off the English king and his nobles with hefty bribes, termed pensions by Edward, who was keen to put a positive spin on the campaign. A few dissented from the Treaty. Richard, Duke of Gloucester was amongst them. Louis had a private interview with Richard before he left France and gave him gifts. He doubtless used the opportunity to measure this intractable young man. What did he find? When Edward had been keen to accept Louis peace terms, Richard argued that, in spite of Burgundy’s failure to provide the promised aid, they had enough of an army to defeat the French in the field. Then, if he still wished, Edward could negotiate a better peace from a position of power and return to England having achieved martial glory. I suspect Louis, The Universal Spider King, found a man willing, even keen, to fight for what he believed in. Fiercely loyal to his friends and prone to seeing things in black and white, right and wrong, with no room for shading or half measures. 1482 saw Richard handed command of a campaign against Scotland that Edward IV lacked the drive to pursue personally. As well as retaking the strategically vital border town of Berwick for the final time, the campaign saw Richard marching his army all the way to Edinburgh without the loss of a single man. This was in part due to the meltdown of Scottish internal politics, but Richard gave orders that his men were not to sack the city and so it was. He controlled his army so completely that there was no looting or unruly behaviour whilst he occupied Edinburgh before withdrawing to England having achieved his aim. Edward IV wrote to Pope Sixtus IV after this Scottish campaign with unrestrained praise for his brother; ‘Thank God, the giver of all good gifts, for the support received from our most loving brother, whose success is so proven that he alone would suffice to chastise the whole kingdom of Scotland. This year we appointed our very dear brother Richard Duke of Gloucester to command the same army which we ourselves intended to have led last year, had not adverse turmoil hindered us.’ Of Richard’s control and mercy, Edward wrote; ‘The noble band of victors, however, spared the supplicant and prostrate citizens, the churches, and not only the widows, orphans, and minors, but all persons found there unarmed.’ The temptation, and the popular choice, would surely have been to allow his men to run riot in Edinburgh in vengeance for years of border raids to enrich themselves and blow off steam, but Richard opted for honour and strict control instead. In 1483 Richard acted (rightly or wrongly) decisively and definitively when he took the throne. If he truly believed his nephews were technically illegitimate, then that left no option but for him to take the throne. If he really feared a Woodville takeover to his own exclusion, then he felt that left him no option but to seize power, and so he did it. If it was the opportunity he had awaited for so long then he grabbed it with both hands and would not let go. The easy option? Well, that might have been to dissolve back into the north and defend his power base, from his power base, and hope for the best. Taking the throne, whatever the real reason he did it, was not the easy option. Then, of course, there is the greatest controversy that surrounds his name, even to this day. What to do with his nephews, the Princes in the Tower. The rebellion at the end of the summer of 1483 involving the Duke of Buckingham surely provided Richard with the perfect opportunity, if he wished the boys dead, to blame Buckingham, mourn them and move on. He could join the nation in sorrow, even apologise that he had failed to protect them from a snake in the bedchamber and the problem would be over with. He would know what was coming in terms of a public outpouring of sorrow and would be able to manage it. This was not the path that King Richard chose. Silence was far from the easy option. It allowed rumour to ferment and grow. Uncertainty was no friend to a mediaeval king. Why,then, did King Richard choose silence? Was it because he didn’t see why he should explain himself? Or perhaps because there was no murder to report and he simply wanted the boys to melt into forgotten obscurity; safe, but no threat. But that’s a whole different story! It certainly was not the case that Richard was in the habit of keeping silent on big issues. When rumours began to grow at the beginning of 1485, as his wife of over ten years suffered from failing health, that he was poisoning her to speed her to her grave so that he could marry his (now legally illegitimate) niece, Richard did not hold his tongue. After taking the advice of Sir William Catesby and Sir Richard Ratcliffe, the king addressed the great and good of London to deny the foul rumour that he was causing the death of his wife. The easy road at such an emotionally fraught time might have been to ignore the nonsense and hope it went away. Richard chose rather to confront the matter head on and set the record straight. Richard was not a man to shy away from controversy or confrontation. Bosworth is the perfect, tragic demonstration of that. When Richard heard of Tudor’s landing whilst at Nottingham he was supposedly elated and keen to march on the impudent invader immediately. Some have attributed this reaction to a nervous overcompensation but I think that this is to apply hindsight to the matter. Richard would surely have been confident that he would win. Why mess about? Let’s get it over and done with now! 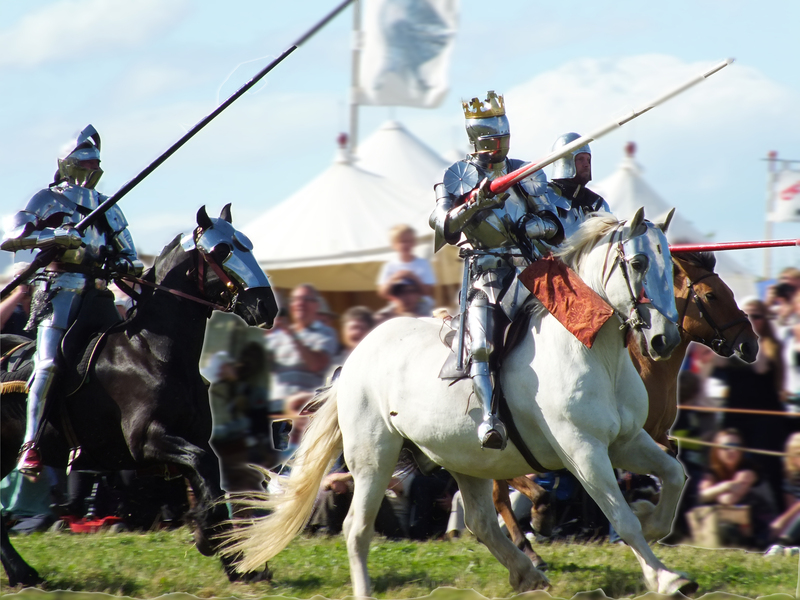 On the field at Bosworth, Richard led the famous, thundering charge of his household knights across the battlefield to attack Tudor himself. It is understood that Richard saw a chance to end the matter once and for all. No prolonged chase. No fleeing and regrouping for either side. It would end that morning, one way or another. We know how it did end, but this is a final demonstration of his willingness to confront issues head on, to throw himself in the way of harm for what he believed in and not to take the easy path. At the very end, offered the chance to escape the field on a horse a squire offered, Richard refused to be chased away. He refused to cower. He refused to back down from the fight. He stood, prepared to die, his spirit unbroken even as his body was crushed. The arguments over his final resting place rumble on with no sign of diminishing in passion. E-petitions are closing with large numbers signing to show their adherence. Some are becoming increasingly vehement and angry as they fight for his bones. Most seem to feel it is a real shame that it has descended into such an undignified tug of war over the mortal remains of an anointed King of England. I thought that too. Then I thought something else. Now, on the 561st anniversary of his birth at Fotheringhay Castle, 550 years after his time at Middleham in the Earl of Warwick’s household, 541 years after the founding of the Council of the North which he ran for his brother from Middleham for a decade, 528 years after his death at Bosworth, hasty burial at Greyfriars, Leicester and York’s recording that “King Richard late mercifully reigning upon us…was piteously slain and murdred to the grete hevynesse of this citie”, 1 year after his bones were dug up and examined, I have one question. What would Richard make of all the controversy surrounding him? I think he would smile to himself. I think that he would think it was right and proper for people to fight for what they want and believe in (within the bounds of acceptable modern behaviour – no dragging canons the length of the country please!). I think he would be quite pleased that over half a millennium after his death people are still talking about him. And I don’t think he would hesitate a moment to tell us where he really believes he should be buried.